Waste Advantage Magazine recently published a feature article and case study entitled “Making the Case for Electric Waste Transfer Vehicles” which explains the many benefits of electric terminal trucks over diesel including lower total cost of ownership, improved performance, and drastically reduced emissions. 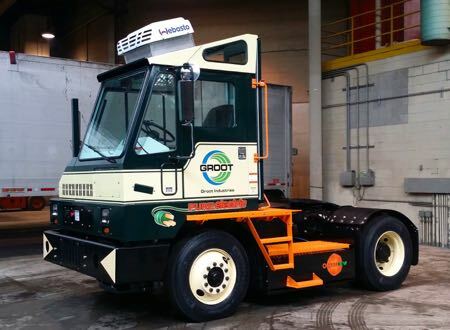 A case study highlights Groot Industries, a subsidiary of Waste Connections Inc., which operates an Orange EV terminal truck at a Chicago-area transfer station. Performance data demonstrates that the Orange EV truck is doing the job while using just 2.7% of the battery charge per hour on average. The article goes on to discuss incentive funds available nationwide. Fleets are using these lucrative funds today to pay for 50-85% of truck cost, and also thinking ahead to the VW Mitigation Trust Fund which will help deploy trucks in every state. Read the full Waste Advantage Magazine article here. Contact Orange EV at Sales@OrangeEV.com.